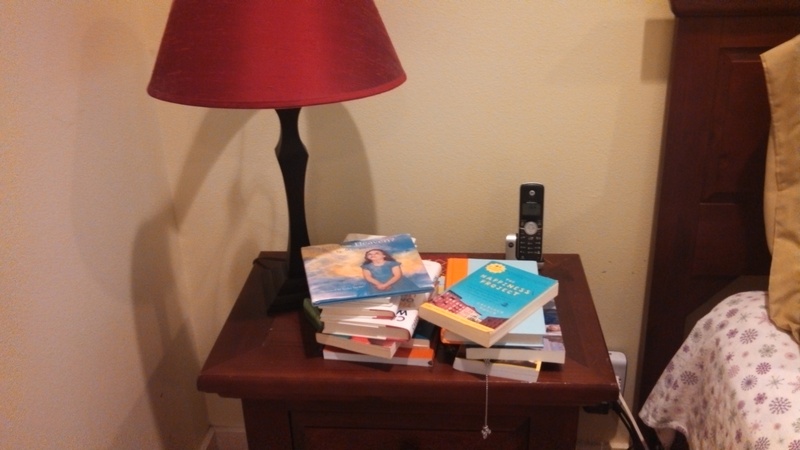 Tip #13 – What to do with all the books. Ten points to the person who can name that blue book on the right? This is the stack of books on my bed-side table. I think I’ve let this get away from me in hopes that if I see the books I will actually read them. 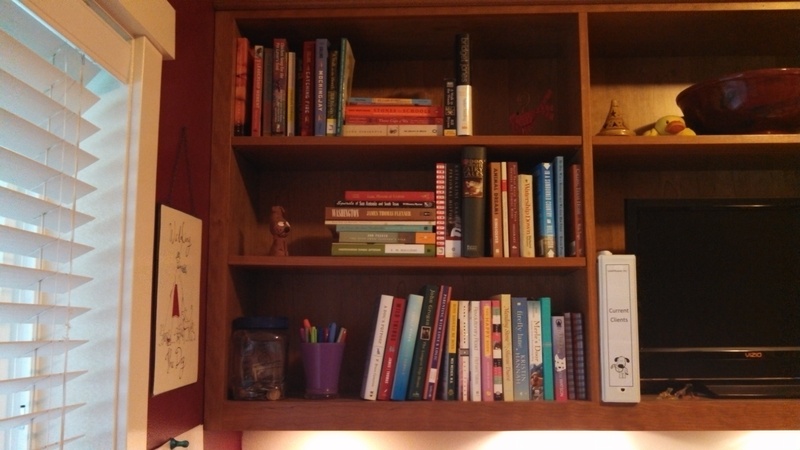 And get this – the bottom shelf of this shelving unit in my office are all books I still need to read. I have a system – I’m just not using it. The top two shelves are books I’ve read and want to keep. The bottom shelf is for books to read at some point. Here’s a challenge for myself – – maybe I’ll go move my books from my bed side to the unread shelf and declutter my bed-side table. Categories: 28 Days of Decluttering | Tags: books, bottom shelf, clutter, declutter, decluttering your books, reducing clutter, what to do with all of your books | Permalink.